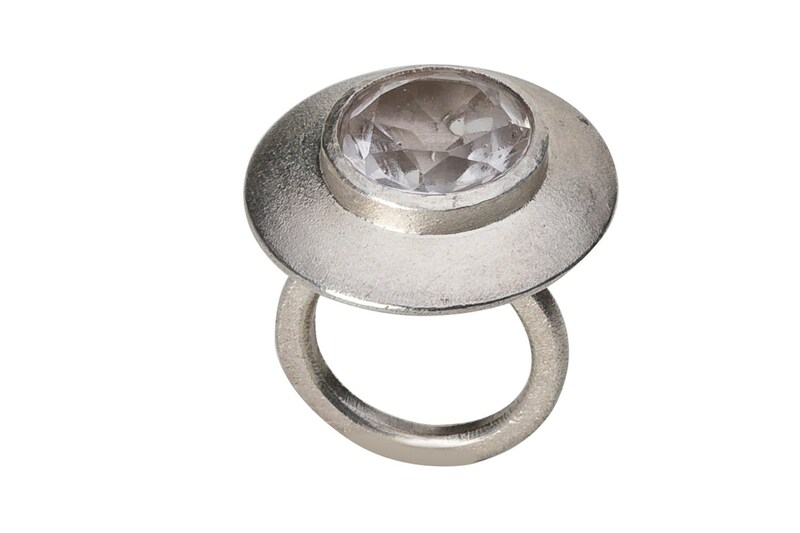 Ring, 925/000 silver, mountain crystal. A ring of frosted silver. A faceted, clear mountain crystal sits on the mushroom-shaped ring. The stone has a diameter of 17 mm. The entire ring-top has a diameter of 28 mm and is about 14 mm high. The ring is available in size 55.